For thirty years, TMI Hospitality has served as a builder and operator of select- and extended-service hotels, bringing a level of care and attention to detail that surpasses expectations…Impressing Guests…it’s what we do. There’s a good chance you have already experienced TMI Hospitality’s impressive service; on vacation, on business or maybe after traveling a particularly long stretch of the highway. What began in North Dakota as a small, hotel franchising company, has become a nationwide property management and development company with 200 locations in 27 states. Our presence has grown from smaller tertiary markets to larger metro markets where demand exceeds supply. With every step forward, our commitment to hospitality has endured thanks to our loyal employees. 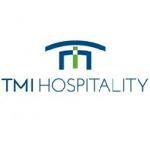 We are TMI Hospitality! Our hotel in Naperville, IL is conveniently located off of I-88 in the Chicago area. The hotel is minutes from the downtown Naperville and the shopping at the Chicago Premium Outlets. The Residence Inn Peoria offers all suites in this pet friendly and extended stay hotel in Peoria, IL. Hotel located off of I-74 near the Northwoods Mall and minutes from the Caterpillar headquarters. The Residence Inn Sacramento Rancho Cordova offers all the modern amenities along with a convenient location off of Lincoln Hwy and a short drive to downtown Sacramento. Our hotel in Billings, MT offers convenience off of I-90 and offers all the modern amenities including free Wifi and free breakfast. The Fairfield Inn & Suites Branson offers all the essential amenities in the event and attraction-filled Branson, MO. The Fargo, ND hotel is near the West Acres Mall and also minutes from the Fargo airport, NDSU and the Fargodome. The Comfort Suites Fargo offers spacious living and sleeping for our guests with all of the essential amenities. Our hotel offers a convenient stay close to the Scheels Arena. Get a tour of our extended-stay hotel located in Naperville, IL. Our hotel is located near Chicago and rooms feature kitchenettes along with spacious living rooms. Our Fairfield Inn & Suites offers all the essential amenities you need to stay in our Mendota Heights, MN location. We are offer free shuttle service to the nearby MSP Airport and the Mall of America.